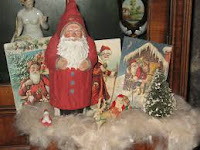 Authentic Bed and Breakfast Blog: Tours, Tubas and Santas! It's the most wonderful time of the year, with each corner of Lancaster County decked out for the holiday season. Towns are hosting Santa, carolers, holiday tours and more in the next few weeks and you won't to miss it. 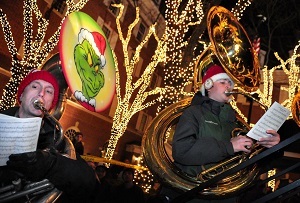 Check out these events that are sure to get you into the holiday spirit. Santa and his evil twin, the Belsnickle, will arrive in style in Ephrata on November 24 for Christmas in Ephrata. As in past years, Santa and Belsnickle will get stuck on the roof of the bank but will be rescued by the local fire company. The evening also features Calliope, horse-drawn wagon rides, children's games, snacks, caroling, food trucks and more. 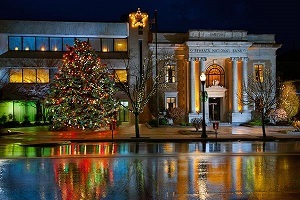 Visit downtown Lancaster for the Mayor's Tree Lighting and Tuba Christmas on November 24. Central Market will be open from 5-8 p.m. for the special event, with entertainment beginning at 6:30 in the square with the arrival Santa Claus, lighting of the Christmas tree, tuba Christmas and visits with Santa at the Lancaster Marriott. The town of Marietta will host the 52nd annual Candlight Tour 2017 on December 3 from 11 a.m.-7 p.m. One of the oldest continuous walking tours in Pennsylvania, the candlelight walk features 8-10 private home and public building tours. Other special events include a wine tasting, strolling carolers, arts and crafts and more. Tickets are $18 in advance and $20 the day of the tour. For tickets, call 717-426-4048 or visit www.mariettarestoration.org. 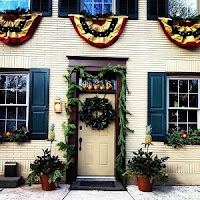 The Strasburg Heritage Society presents a Holiday Home Tour December 2 from 10 a.m.-4 p.m. 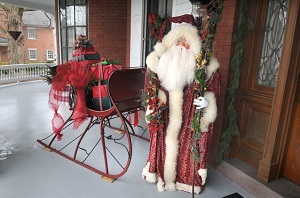 The event showcases decorated homes and churches in Historic Strasburg, a public holiday market, food at the Holiday Pantry and a silent auction. For more information, email strasburgholidaytour@gmail.com or call 717-687-9039. And don't forget about the Authentic Bed & Breakfasts Find Your Belsnickle Tour December 2 and 3. The self-guided tour takes guests through 17 decorated inns dressed for the holidays with a hidden Belsnickle at each stop. Guests also have the chance to win a stay at an inn valued at $325. Each inn also features a homemade cookie and recipe card. Sales benefit Make-A-Wish and can be purchased at the Discover Lancaster Visitors Center or reserved online vouchers can be made at www.authenticbandb.com. We hope you visit our beautiful county for the holidays and stay at one of our inns. You'll be sure to make unforgettable holiday memories.